General information about Burj Khalifa may not have been heard before. Burjkhalifa.ae offers an interactive view of the many unknown information about Burj Khalifa, its phases of construction, innovative technologies adopted, its records, and an impressive array of images from inside and outside the tower. The Burj Khalifa stairway consists of 2909 degrees leading to the 160th floor, while the stairs are used to reach the higher floors. The public areas of Burj Khalifa were decorated with 18 perfumes, which are used to give each visitor a sense of a different experience. 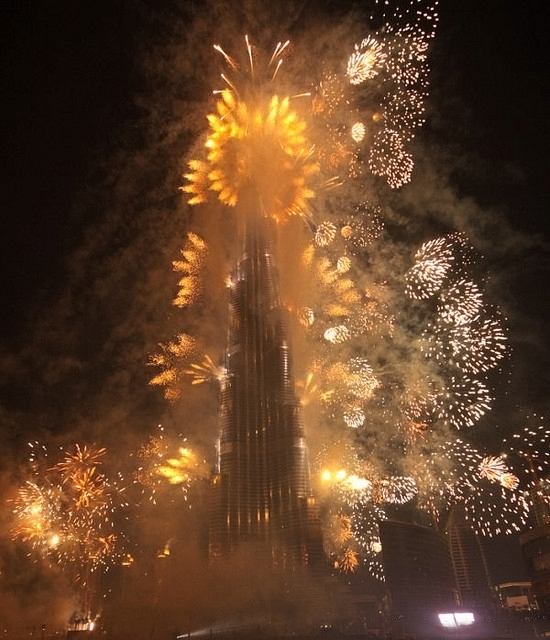 Burj Khalifa's elevators are the fastest in the world, with guests reaching the highest floors at 10 meters per second. One of the many unknown information about Burj Khalifa is that it has the world's tallest library on the 123rd floor. The tower provided an intense xenon lighting system that flashed 40 times per minute to avoid collisions in the building. The temperature at the top of Burj Khalifa is six degrees below the ground floor temperature. The total aluminum weight used in the construction of the tower weighs five A380s. Cleaning all Burj Khalifa windows requires 120 working days. In 2014, the tower witnessed the first vertical fashion show, with fashion models on the exterior of the building during the show. In Burj Khalifa, you can enjoy the sunset twice on the same day, once from the ground floor, and from the top. Themelet provides the best in market today. Our team work hard to make the clean, modern and SEO friendly blogger templates.